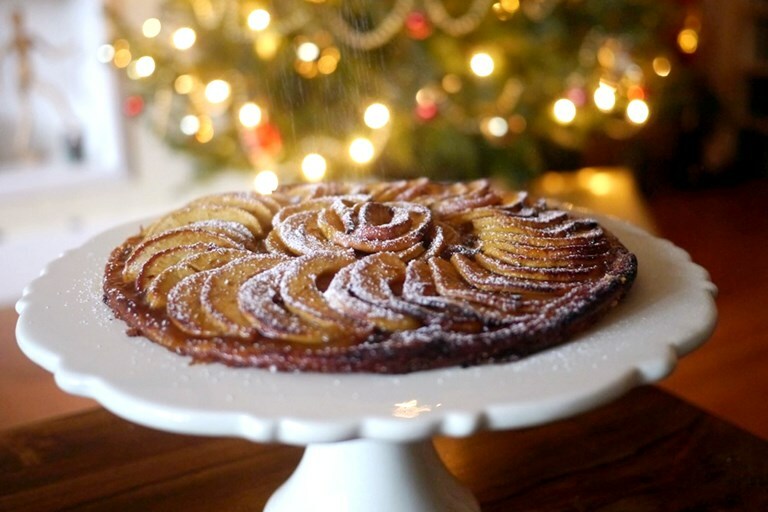 Victoria Glass makes the most of festive spices and the craze for mulling drinks with a delicious apple tart recipe that also makes a big batch of mulled cider. 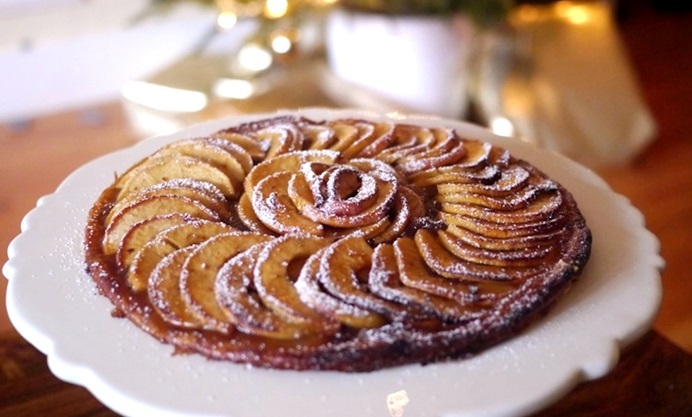 Perfect as an alternative Christmas dessert, this easy apple tart recipe makes entertaining over Christmas a breeze. ‘Tis the season to mull as much booze as you can reach and, until Twelfth Night at least, the aromas emanating from my kitchen will have a heavy focus on Christmas spices and good old fashioned grog. Everyone and their aunt has been banging on about mulled cider – apparently spiced hot cider is much more chi chi than spiced hot wine these days. Granted, cider is the more economical choice when fuelling a crowd, but I can’t say I’m wholly convinced mulled wine should be discounted entirely. Why can’t we have both? Preferably one in each hand for easy comparison. In fact, when it comes to mulling, why stop at just drinking? This year I decided to try my new apple peeler/corer/slicer contraption to make an apple tart. 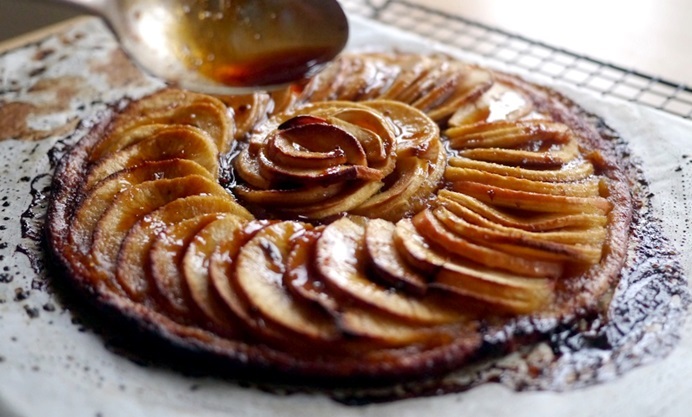 But I didn’t want to make just any apple tart. It’s Christmas after all and I wouldn’t dream of discarding festive tradition by not throwing a tipple and a cinnamon stick at it. Firstly, I mulled some cider with a generous glug of Calvados (but you can use rum or brandy if you prefer) and poached some apples to make a base purée on which to place slices of apple in concentric circles before drizzling everything in spiced caramel. You can buy ready-made all butter puff pastry, make your own, or make a gluten-free version using my recipe for GF flaky pastry. This pudding is delicious hot with custard or vanilla ice cream or you can serve it at room temperature as an afternoon pick-me-up. It also makes a very sophisticated and festive alternative for Christmas pudding haters, plus it leaves you with a pan of mulled cider ready for drinking, so you have plenty to keep you going while you get the mulled wine on for afters.